Kids Corner: Happy, Happy, Happy Anniversary to Grandpa Jeff and Grandma Mary, Grandpa John and Grandma Sharla, and Uncle Nathaniel and Aunt Mary! Happy, Happy, Happy Anniversary to Grandpa Jeff and Grandma Mary, Grandpa John and Grandma Sharla, and Uncle Nathaniel and Aunt Mary! What a day for a wedding! Happy anniversary to all of the happy couples in our family. We hope you have a great day!!!!! 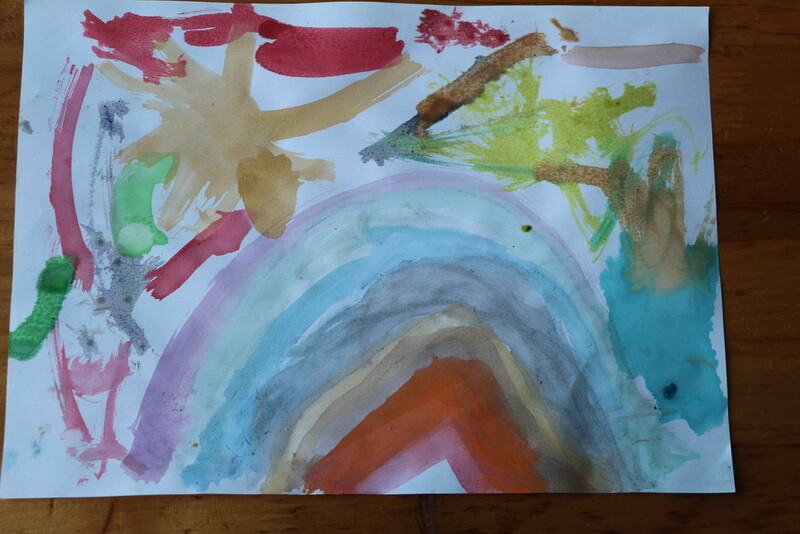 All of the boys decided to paint rainbows for your anniversary (ies). 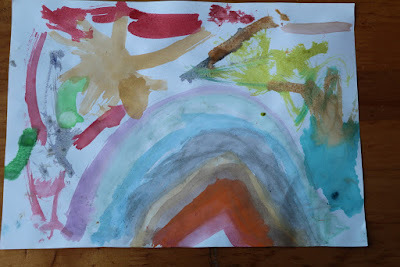 Alexander worked hard on his rainbow for you. 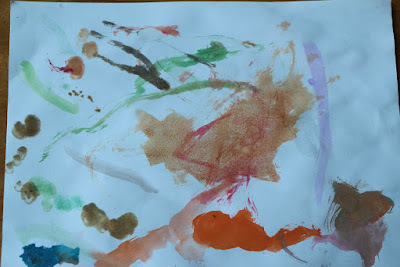 And Andrew painted you a rainbow from Cheetah Bear Land. 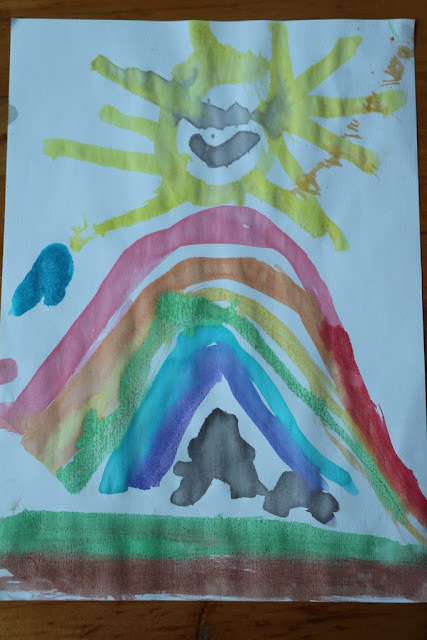 May your special day be filled with love, rainbows, and Cheetah Bears! Thank you so much for the anniversary wishes, guys! We love and miss you all very much! Maybe if you all came back for Christmas, your cheetah bears could meet our Penny and Kermit? I think they'd really like each other!